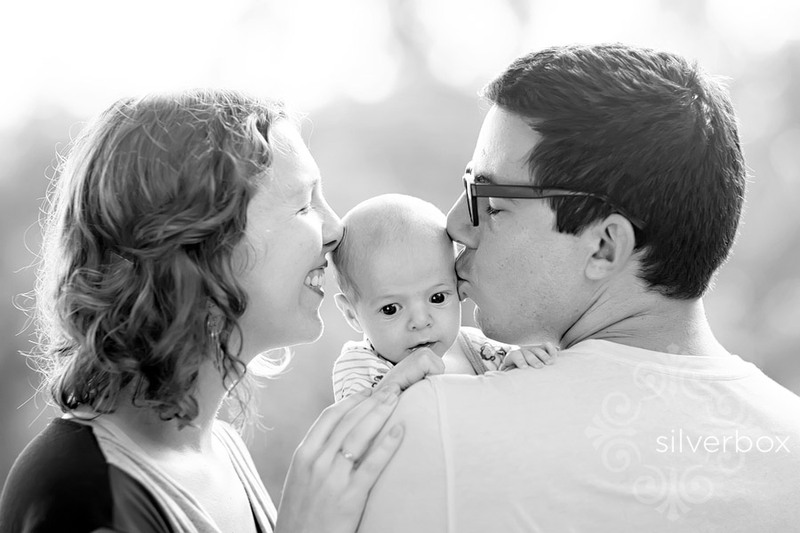 mike + mary + baby noah! Sometimes being a wedding and family photographer feels more like being welcomed into one large, continuous family reunion than "running a photography business." and don't ya know . . . THAT is when we are happiest behind the camera! 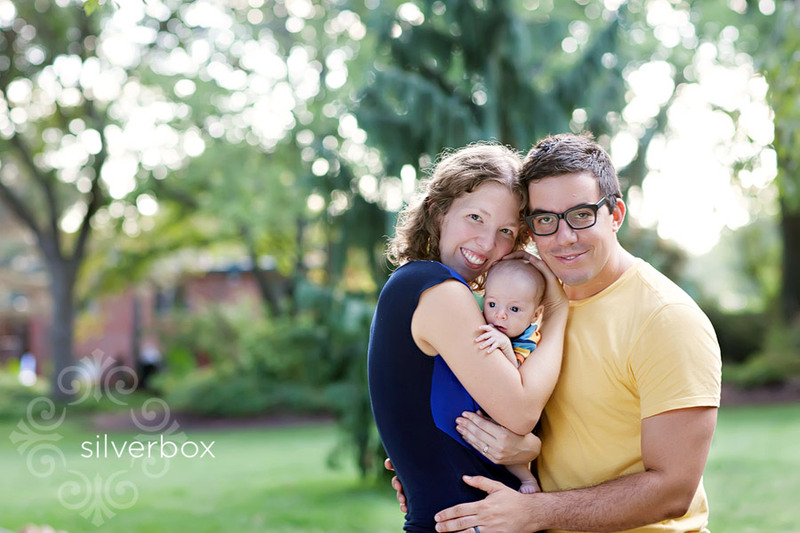 this summer, we photographed three new babies born to SilverBox couples: megan + jeff and baby amelia, suzanne + mills and baby subella kate, and now . . mike + mark and baby noah!!!! Mike and Mary were married in Boonville in 2009 (check out these amazing photos of their wedding by amy and annika . . . WOW . . . proud to be business partners with THESE two)! Mike + Mary are the quintessential SilverBox couple: the kind of clients who end up being friends. We've even described our clients in various marketing materials as "cute + quirky, wonderfully colorful, laughter-loving, always authentic couples" . . . and that description sure fits Mike and Mary! AND to top it all off, Mary is now a photographer . . . she's launched our own business in Durham, North Carolina. Thanks for being wonderful, loyal clients and friends, Mike and Mary. Welcome to the team, Baby Noah! 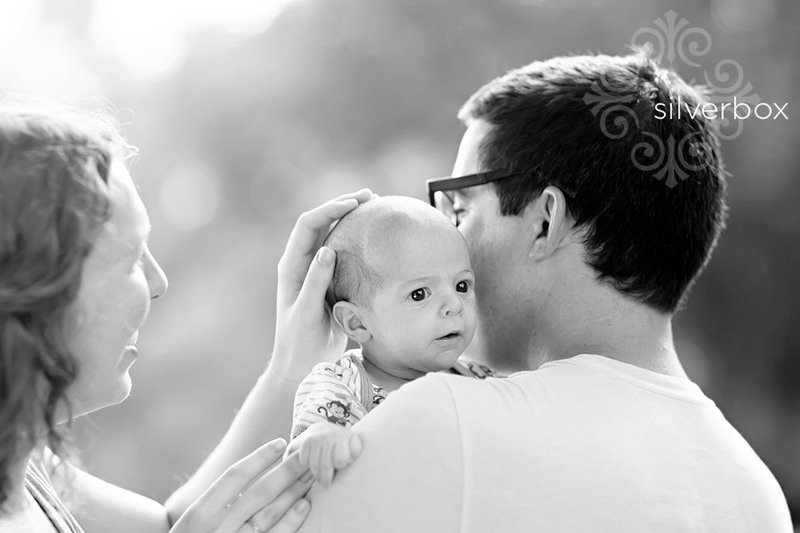 jenna + andrew :: sneak peek!